Reimbursement Information for Diagnostic Ultrasound | Konica Minolta Healthcare Americas, Inc. 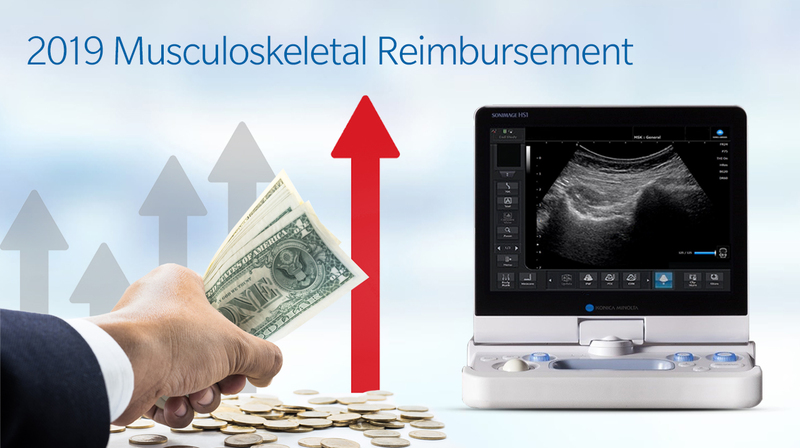 The MSK reimbursement guide provides general coverage and payment information for diagnostic ultrasound and ultrasound-guided procedures. When the ultrasound device is being utilized for a documented appropriate medical necessity, is being performed by appropriately qualified providers, and meets all Medicare requirements including documentation and storage of images, it may be possible for it to be billed and considered for coverage and payment by a payer. 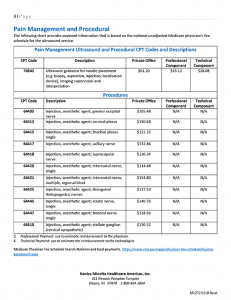 The downloadable PDF contains payment information for the diagnostic ultrasound CPT codes that may apply depending on location the ultrasound was performed. Also included are the 2019 national average Medicare Physician Fee Schedule (MPFS) payment rates for the CPT codes. Payment varies by geographic location. This information was obtained from third-party sources and is subject to change without notice, as Medicare and other payers may change their reimbursement policies at any time. Want to learn more? Register below for a “Reporting Extremity Ultrasound Service” webinar to get in-depth information on musculoskeletal ultrasound reimbursement, documentation and reporting processes. CPT codes, modifiers, and descriptions are discussed for complete and limited ultrasound exams. Please fill out the following form to watch the reimbursement webinar.